Looking for the thrill of Vegas without having to step out of your front door? Ladbrokes Vegas could be just what you need. 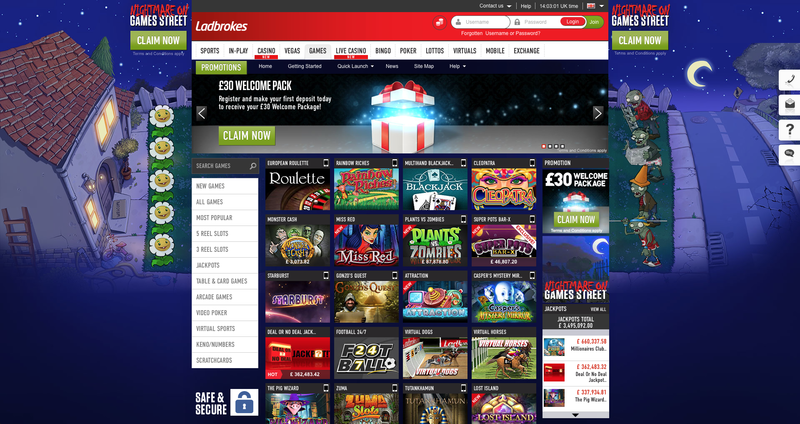 You’ll likely have heard of one of the biggest bookmakers in the UK, but have you tried out this fabulous site yet? The company has a number of sister sites and Vegas is by far one of the most exciting. Offering a large choice of games and a fantastic collection of promotions, you’ll enjoy literally hours of fun on the site. Regulated by the Gibraltar Gambling Commissioners, the site uses high quality Playtech software to ensure a flawless gaming experience. No matter what type of game you’re looking for, you’ll probably find it here. It has an excellent range of slot games with popular classics and a few unique offerings. 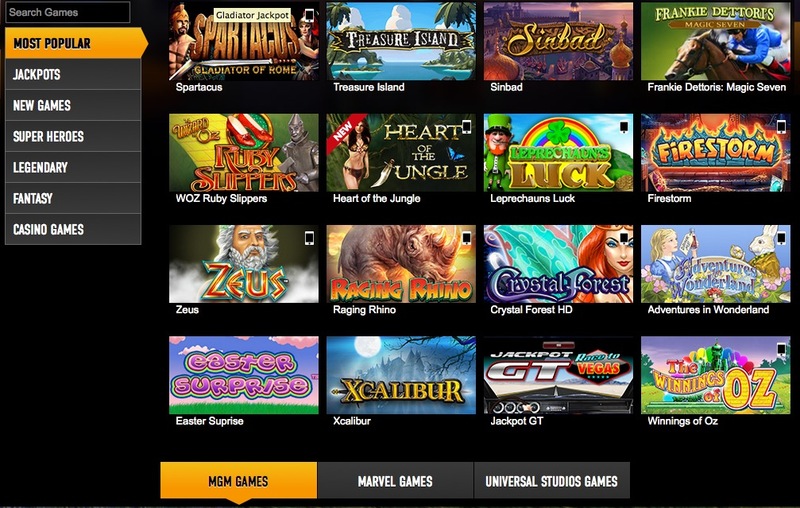 The site even has a collection of top quality Marvel slots including ‘Fantastic Four’, ‘X-Men’ and ‘Hulk’. Thanks to the popular software used, you are guaranteed a great gaming experience. If you want to really up the excitement then check out the jackpot slots such as ‘Pink Panther’, ‘Britain’s Got Talent’ and ‘Fairest of them All’. These jackpots increase every second until they are won, offering potentially life changing sums of money. Other games to check out include casino favourites such as Blackjack, Baccarat and Premium European Roulette. There’s nothing to fault with the design of Ladbrokes Vegas. It has a professional look and feel, making use of the ever popular black background that so many other casinos take advantage of. Providing a sophisticated feel, you’ll be pleased with the layout of the site which makes everything so easy to find. You’ll find a great VIP scheme on the site which promises plenty of fun and rewards. It is an invitation only club and it offers exclusive rewards, including VIP tickets to top UK events such as music concerts, horse racing meetings and Premier League football matches. You’ll also receive your own personal account manager as well as plenty of unique bonuses. New players are the first to benefit from the promotions at Ladbrokes Vegas. The site also focuses on offering daily bonuses. Each day you’ll find something completely different from cashback refunds to free spins and one off bonuses; there’s always something to take part in. While it doesn’t have the largest collection of promotions, the ones it does offer are pretty impressive. As they change daily, it’s always worth checking back to see what’s new. Just remember to read all of the terms and conditions before you decide whether or not to take part.